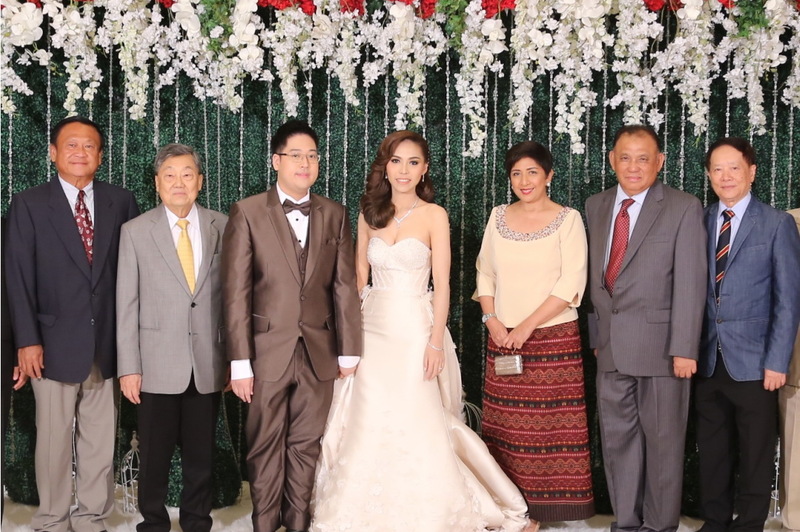 Pol.Lt.Gen.Nadhapit Snidvongs, Vice Minister for Interior, recently presided over the wedding celebration of Miss Pattama Kaijieow and Mr. Chartbundit Vichayanotai at Pavilion Convention Hall of The Grand Fourwings Convention Hotel. 1. Miss Pattama Kaijieow was standing in the middle. 2. Mr. Chartbundit Vichayanotai was standing in the left hand side of Miss Pattama Kaijieow. 3. Pol.Lt.Gen.Nadhapit Snidvongs was standing in the third from right hand side of Miss Pattama Kaijieow. วันที่ 30 มิถุนายน 2559 เวลา 14:25 น.